Today’s mudrooms can be anything from a simple entryway, to a dramatic room filled with storage and functionality. If you browse through remodeling or design magazines, you can gain hundreds of ideas to make the mudroom the most functional room in your home. Yet before the shelving units and baskets can go in, the most important place to start is at the bottom … with great flooring as a base. Since the purpose of a mudroom is to enter and remove all of your outdoor gear before you enter the home, first and foremost the flooring must be durable to withstand any kind of abuse your family can dish out. It’s best to choose a material that is durable, long lasting, and will blend in easily with the rest of your interior décor. 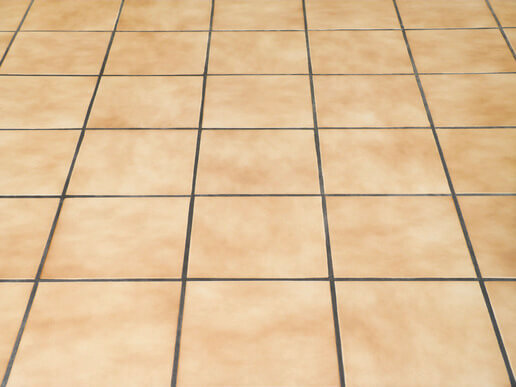 Ceramic tile is one of the best options for a mudroom entry because it’s durable, easy to clean, easy to maintain, and environmentally friendly. It’s an affordable choice, and can be an easy do it yourself project, or one that can be professionally installed in no time. Because ceramic colors come in many styles, colors, patterns and materials, the look and feel can be almost unlimited in potential. Natural stone offer unique, one of a kind beauty. Depending on your selection, you can find a variety of color variation, texture and patterns. Unlike ceramic tile which is man-made, natural stone is manufactured from quarries all over the world, making no two stones alike. When natural stone is properly sealed, natural stone is durable and easy to maintain. Wood floors have always been some of the most dependable and sturdy types of flooring around. And here in Colorado, its been a long time favorite for high traffic areas. Because a mudroom is one of the most high traffic areas in your home, choosing hardwood would be a good recommendation. However, keep in mind that wood does show wear and tear over time. Mudrooms are often susceptible to standing water due to wet boots and shoes. It’s important to wipe away any excessive water so it doesn’t penetrate the wood. Vinyl flooring can be an inexpensive and durable solution for a mudroom. Yet today’s vinyl is anything but boring. Luxury vinyls can imitate any look and feel you desire – from wood, to stone, to laminate, to bricks – if you have a look you desire, you’ll find it in vinyl. Vinyl provides a tough surface that is durable and essentially maintenance free. And depending on what style of vinyl you choose, you can find anything from peel and stick tiles or planks, to luxury vinyl sheets. Choosing a material that works for your setting all begins with your ideas. Want a little inspiration? Stop by and see all the options available to you.